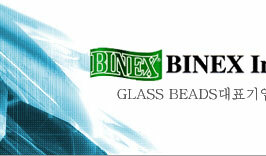 BINEX have been supplied inside and outside of korea since 1973.
of the beads being laid. 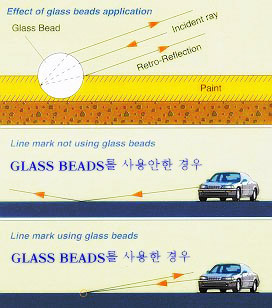 Glass beads have the property of sending the incident rays back to its source. 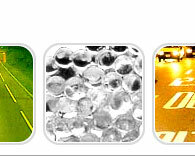 This means the light which comes into glass bead is refracted and then reflected within the bead, and it hits back with high efficiency to the motorists. The glass bead is a sphere. This means any directional stress-resistance of the bead is excellent. 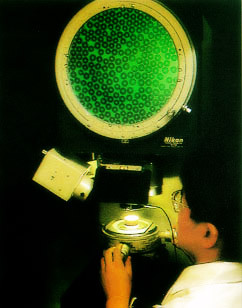 Since the bead is being made of glass, the glass bead is chemically stable. 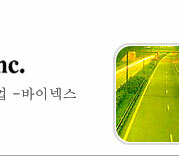 It is water-resistant, alkali-resistant, heat resistant, solvent-resistant and acid-resistant excepting for hydrofluoric and concentrated sulphuric acid. 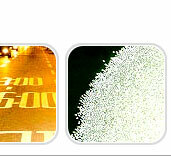 * According to the specific needs of the beads,we are in manufacturing size varies from decades of micron to 5mm in diameter through the process of rotary and shaft kiln.